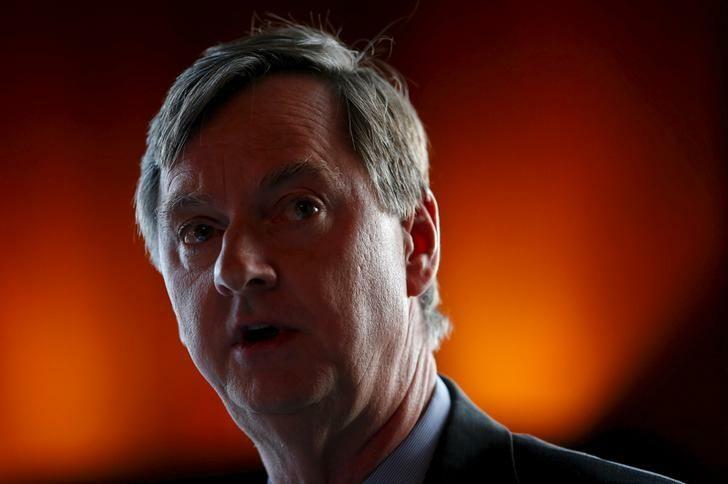 HONG KONG (Reuters) - Financial markets are more pessimistic than the U.S. central bank in their pricing of U.S. interest rate hikes, Chicago Fed President Charles Evans said on Tuesday. "Market expectations are pricing in a 20 percent likelihood of things deteriorating from here," said Evans during an investor conference in the Asian financial hub, citing recent surveys. "I don't have that outlook. In general, financial market expectations are more pessimistic than ours." Evans, a top Federal Reserve policymaker, also repeated his call for just two U.S. interest-rate hikes this year, saying that the risks to his forecast for economic growth are weighted to the downside. However, financial markets as evident from federal fund futures contracts, are pricing roughly one more rate hike for the remainder of the year. "A very shallow funds rate path, such as the one envisioned by the median FOMC participant, is appropriate," Evans said in a copy of the speech delivered to the Credit Suisse Asian Investment Conference. The FOMC, or Federal Open Market Committee, is the Fed's policy-setting body; in March the FOMC's median forecast called for two rate hikes this year. Evans also said the Fed has to be proactive and aggressive to reach its inflation target. "We expect inflation to stabilize by end of the year and edge higher next year, so we are looking at two rate hikes by end of the year. As far as timing, there may be one in the middle of the year and one towards the end but we cannot be sure." U.S. inflation measures have shown some recent strength, with the Fed's preferred annual measure flat at 1.7 percent in February, though still below its target of 2 percent. After having raised rates for the first time in a decade in December, the U.S. central bank stood pat in January and again in mid-March, when it cited weakness overseas and an early-year market sell-off that has since reversed. Evans repeated that risks to the economy are tilted to the downside. He also said China's economic slowdown would likely prove a stiff test to Beijing's leaders. "The China economic outlook is a challenging one. It's very difficult for any economy over a long period of history to see that kind of transition without it being bumpy." Evans does not have a vote on policy this year, but does take part in the Fed's regular policy-setting meetings.